Compatible Devices Galaxy Note5, Galaxy S7, Galaxy S7 Edge, Galaxy S6 edge+, Galaxy A7 (2017), Galaxy A5 (2017), Galaxy A7 (2016), Galaxy A5 (2016). 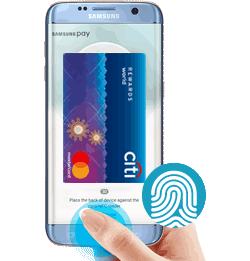 The customer has to transact using Samsung Pay with his/her Standard Chartered, ICICI, Axis & SBI Debit or Credit cards. Cashback will be posted to customer’s accounts within 60 days of the end of the offer period. 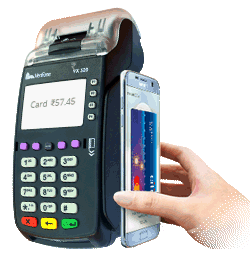 Customer has to transact using Samsung Pay with his/her Standard Chartered Credit/Debit Card. Customer would be eligible for Rs. 500 Cashback on minimum transaction of Rs. 1000 made using Samsung Pay between 00:01 hours on 18 March 2017 to 11:59 hours on 21 March 2017. 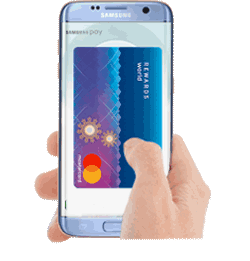 First 500 Card Members who use Standard Chartered Credit / Debit Card to transact using Samsung Pay to be eligible for the Cashback. Cashback will be posted to customer’s accounts within 60 days of end of the offer period. 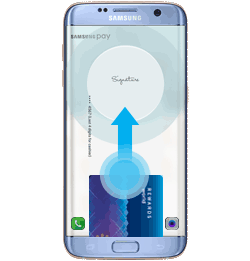 How to Get Samsung Pay Online? Scan your credit card and enter in the remaining required details.